The British Broadcasting Company began life with a princely £100,000 in capital, about the same sum as half an Alan Yentob. Six wireless firms chipped in £60k and took up their place round a battered board table at the GEC building at Magnet House. Other manufacturers threw in in the remainder for their smaller shares in this brave venture. This was peculiar form of capitalism, with return on capital capped at 7.5%. It was decided not to follow the American example of ‘using the microphone for ads’. Oh no, none of that over here, thank you very much. That dogged principle was to change the course of British broadcasting as it left port - and consign commercial radio to a fifty year wilderness, from which it has never truly recovered. Let’s remember too that it was those lofty ideals which meant that the listener would be asked to fund their programmes directly, if ‘interested parties’ were not to be control of the new airwaves. Maybe one of the BBC's PR folk should now invest some time reminding us why we were asked to pay in the first place. It's a decent argument. Voluntary listener subscriptions were ruled out at the outset, so Alvar Lidell was not instructed to rattle a collecting tin in Savoy Hill reception. Early revenues flowed in, however, from indirect taxation, thanks to cunning surcharges on the parts sold to the many enthusiasts who built their own sets. Will we see the day when iPhone chargers carry a special Auntie tax? By the Autumn of 1924, revenues were wholly derived from the licence fee. Not that the Beeb got the whole lot – the Company’s share, however, did rise from 50% to 75%. The grinning Government gleefully took the rest. As Big Ben chimed the end of 1926, The British Broadcasting Company was wound up, letterheads were reprinted, and the new DG clutched the Corporation’s first ten year licence in his sweaty mitt. Its duty was to ‘Carry on a broadcasting service’. Thankfully, John Reith rather than Sid James was in charge. The Crawford Committee suggested: “The licence fee shall be 10 shillings, which we do not consider excessive. It will be the duty of the Postmaster General to pay to the Commissioners (Governors) from the licence fee an income thoroughly adequate to enable them to ensure the full and efficient maintenance and development of the service…it is expedient that the surplus should be retained by the state". It’s a way of working I suspect the Minister would rather like to revive. Eventually, it was agreed that 12.5% of licence income would be deducted for ‘revenue collection’ and the Corporation would receive 90% of the first million licence fees - and a declining sliding scale to 60% as sets started to fly off the shelves. This calculation on the Government’s trig tables meant that after four million licences were stamped at the Post Office, the Government could be taking almost half the income. Indeed, by 1929, cheery Chancellor Churchill was banking just under a million pounds. “There was a time when the wild men of newspaper industry had their way the consequences to broadcasting might have been damaging. 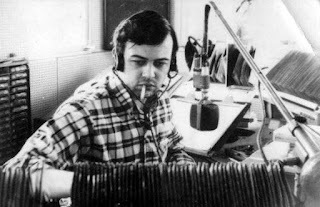 The broadcaster must never be tempted to take advantage of his foothold on the listener’s hearthrug”. As War began, the Corporation stepped up its efforts and found a damn good excuse not to trouble itself with the complications and expense of telly. By 1940, it was broadcasting on radio in 34 languages and creating 787 news bulletins. In the House of Commons on 20th August 1940, it was proudly announced that 9,132,000 folk had duly forked out for their 10/- for their licence. This wobbly graph of audiences for the earnest 10 pm news bulletin through the months of 1940 shows there was a real hunger for what radio could provide in the dark days of War. By June 46, a combined TV & radio licence appeared, although a sound-only version remained available. Just 60 years ago, 4.6m of the dual versions were sold, but 9.4m Britons - the vast majority - still found radio alone sufficient for their needs. It was not until 1958 that the dual licence take-up overtook its radio-only bargain brother. In 1955, the House of Commons had been stirred to debate the concern that if you sold your Sunbeam Rapier complete with its radio, you could not also transfer its licence to the car's new owner. The radio licence died in 1971; although the Corporation did float the idea of a £10 car radio licence in 1984. What of costs? Even by 1960, the £6.5m spent on radio programmes remained perilously close to the 8.2m on TV shows, although the chunky TV engineering costs were certainly higher than radio’s. The Corporation's original ten shilling licence would cost just under thirty quid nowadays (£27.28), had it simply risen with inflation. It actually costs five times more than that, although even the most miserable of folk would concede we easily get five times more for it. It’s a timely reminder that funding broadcasting has not always been as simple as relying purely on a licence fee - and that new usages of the medium will call for more inventive ways of charging for it. And that quiet Government /Corporation wrangling on funding is not a new art. But maybe too a note to commercial radio brethren, pumping out 15 minutes of ads an hour, that the broadcaster must never be tempted "to take advantage of his foothold on the listener’s hearthrug”. 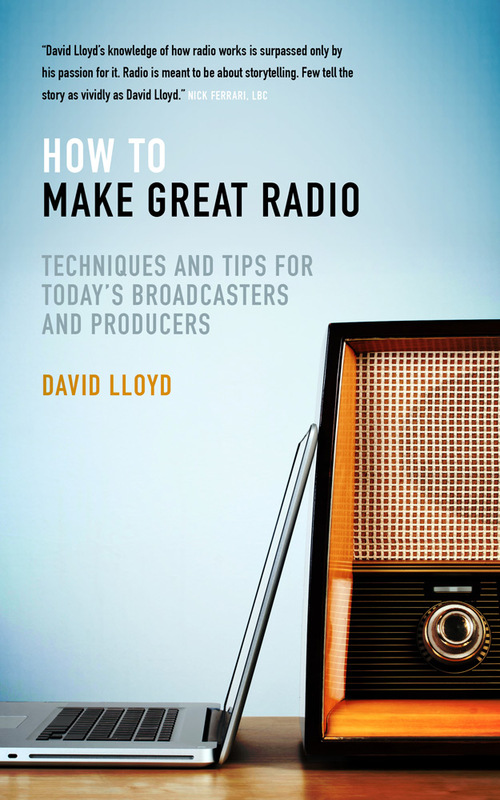 My book 'How to Make Great Radio' is available now. Techniques and tips for today's broadcasters and producers.